Albert Wein was very interested in ancient religions as well as mythology especially those forms that were such an important part of the heritage of ancient Greece and Rome. Woman on Triton from1981 is one such example. Triton was a mythological Greek god who was hailed as the messenger of the sea. The son of Poseidon and Amphitrite who was also a goddess of the sea, Triton here is represented by Wein as a “merman” with the upper body of a human but the tail of a fish. The end of Triton’s tail in our example is even graced with a sea shell. By 1981 Wein had abandoned abstraction in his sculpture from the 1960’s and had returned to a more classical form and content. 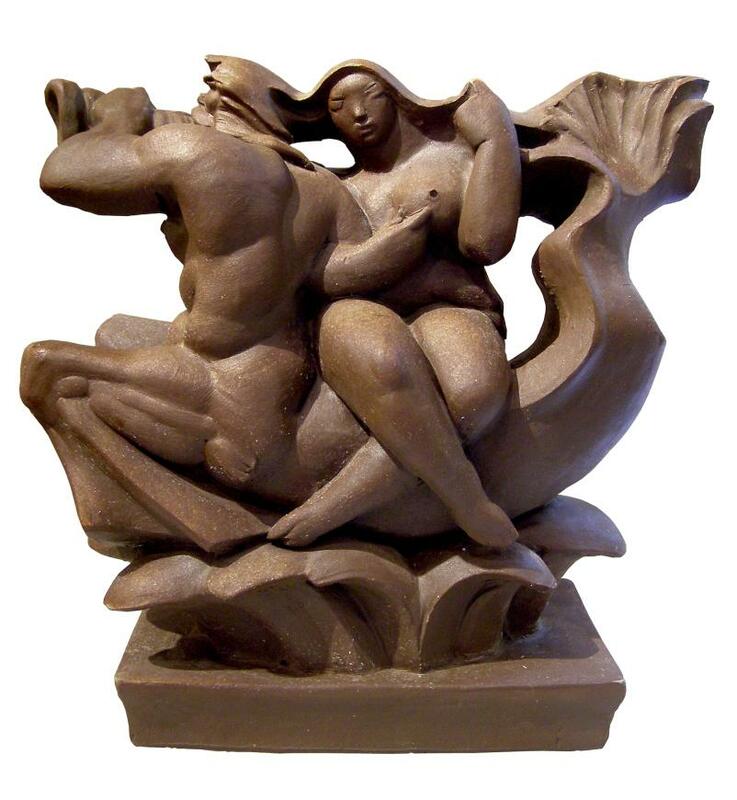 He now believed that the ancient myths and legends as in our Woman on Triton could be expressed through the symmetry and idealization of classical art. 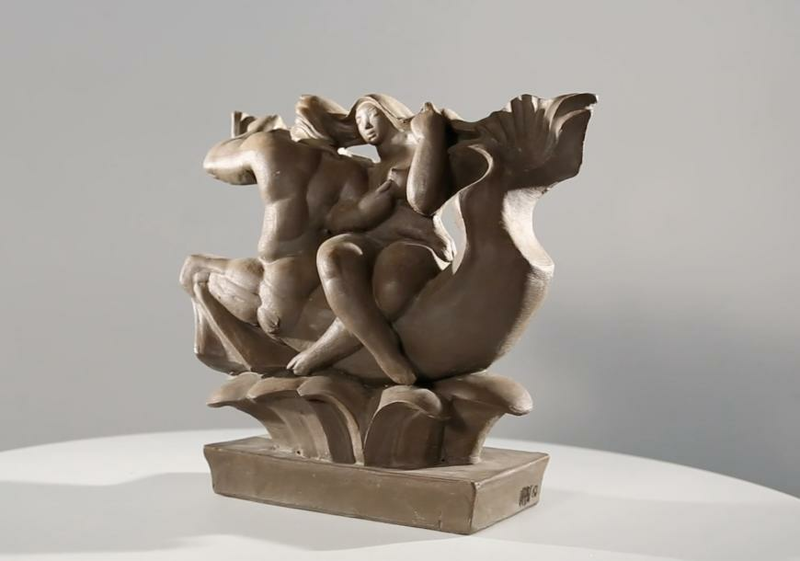 Showing his versatility with various different mediums Wein chose to cast this sculpture in terracotta, the material chosen in ancient Greek times for figurines.